The CFEL Controlled Molecule Imaging Group is seeking highly motivated individuals to join our workgroup. We have open positions at all levels, from Bachelor, Masters, and Ph.D. students to postdocs and senior postdocs, both, experimental and theoretical, in the fields of Molecular Physics, Physical Chemistry, Biophysics, and Laser Physics/Photonics. Please see also our general job-announcement flyer and distribute it as you feel appropriate. We offer unique research opportunities in an interesting, open, international team and with first-class experimental and computational facilities. Our group is embedded in the Center for Free-Electron-Laser Science, Deutsches Elektronen-Synchrotron DESY, Universität Hamburg, and the Hamburg Center for Ultrafast Imaging. We are exploring the applicability of laser-induced electron diffraction (LIED) to complex molecular systems and their chemical dynamics. In the first stage of the project, we have unraveled the influence of the molecular frame onto the strong-field-ionization and rescattering process underlying LIED and have developed theoretical approaches to describe these processes. Furthermore, we have demonstrated unprecedented degrees of field-free alignment of linear and asymmetric top molecules. In this second phase of the project, we will apply these advances for the investigation of chemical dynamics in small model systems, such as the dissociation of OCS, as well as the imaging of the dynamical interactions between molecular building blocks of life and water – the matrix of life. This project is in strong collaboration with the group of Arnaud Rouzée at the MBI Berlin and the Max-Planck theory group of Angel Rubio at CFEL Hamburg. The successful candidate will have an outstanding Ph.D. in experimental physics, physical chemistry, or a related field. Extensive experience with ultrashort-pulse lasers is required; experience with few-femtosecond laser pulses, ultra-high-vacuum equipment, or electron imaging is a bonus. Within this project, you will use newly developed sources for cold nanoparticles and bio-molecules, such as cryogenic buffer-gas cells, and develop advanced methods to strongly control these systems. The shock-frozen, cold samples emitted from the buffer-gas cell can be further controlled using strong inhomogeneous electric fields. This allows one to select single structural isomers, i.e., different structural arrangements such as folded vs. globular proteins, based on their distinct interactions with the field. Furthermore, in combination with strong ac electric or laser fields these systems can be aligned and oriented in space, rendering the individual molecules practically identical even in laboratory space. The developed experimental setups will be employed for novel diffractive- imaging experiments, both at FEL facilities as well as in laboratory based setups. If you want to see the chemistry, you have to follow the electrons. Indeed, it is becoming evident that one has to study the combined electronic and nuclear dynamics of molecules in order to understand the elementary steps of chemical dynamics. Based on previous and current molecular-frame-photoelectron-angular-distribution-imaging experiments, performed in our group, we are preparing for experiments to image ultrafast dynamics in complex molecules, such as indole and the indole-water cluster. These experiments are targeted at the disentangling of ultrafast electronic dynamics coupled to femtosecond nuclear dynamics. Modern experimental approaches allow for the diffraction imaging of chemical dynamics using x-ray free-electron lasers or high-power table-top lasers. In combination with our methodologies to control molecular samples these promise unprecedented experimental details of the chemical dynamics of complex molecules. The goal of this project is to disentangle the structure-function relationship of conformer-specific chemical dynamics and of folding-type rearrangements of model peptides through time-resolved x-ray- and electron-diffractive imaging. The project requires significant organizational work in preparation of large-collaboration beamtimes and a strong overview of experimental and theoretical developments in the field and beyond. The following projects all possible as Bachelor or Masters thesis as well as in internships; further projects are available and can be assigned based on discussions, current needs, and your wishes for specific contributions. CMIdaq is a new implementation of a distributed controls and data acquisition system for Controlled Molecule Imaging experiments. The system is based on Tine and developed in Python and Qt. Hardware includes high-speed high-resolution cameras, fast digitizers and oscilloscopes, timing distribution and time delay electronics, motors for many different pieces of equipment, various laser sources, Linux, Windows, and Mac OS X computers, etc. Data handling and storage includes the use of gpfs (IBM Spectrum Scale) and dCache. In this project, a modern, user-friendly, flexible, yet easy to use graphical user interface shall be designed and developed. This includes the implementation of modern UI concepts, versatile online analysis tools, data storage and documentation tools, and an analysis of user feedback. These novel experimental approaches are supported by computational simulations based on classical trajectory calculations in combined electric and laser fields. To allow for the simulation of optical manipulation of nano-objects and very large biological objects, such as viruses or protein complexes, we are extending our computation suite to include new models of the underlying physics as well as the experimental apparatus used. We offer an undergraduate thesis project to extend our simulation framework CMIfly and to implement new-physics descriptions in the simulation codes. A successful candidate will have a strong background in modern software development. Experience in physics, hydrodynamics, and optics as well as in numerical methods is a plus. We offer unique research opportunities in an interesting and open team and with first-class experimental and computational facilities. Our group is embedded in the Center for Free-Electron-Laser Science, DESY, the University of Hamburg and the excellence cluster Hamburg Center for Ultrafast Imaging. We are developing a general-purpose code for the description to the rotational motion of arbitrarily complex molecules in electric and laser fields. The code implements a numerical solution to the time-dependent Schrödinger equation of the system considering all relevant symmetries. Typical runtimes for complex molecules in strong fields are many CPU months. Here, an efficient and general parallelization shall be implemented. In the first step, this should be done through a multithreading approach, partly using multithreaded BLAS routines and partly by direct manual parallelization at higher levels. Further steps include message-passing parallelization across compute nodes as well as GPU-based acceleration. The quantum-physics developments of the code are performed in close collaboration with Rosario González Férez at the Universidad de Granada. See CMIstark for a implementation of a time-independent dc-electric-field-only subset of the problem. ￼￼The Controlled Molecule Imaging group at the Center for Free-Electron Laser Science at DESY and University of Hamburg performs novel experiments on the control and imaging of gas-phase molecules and their intrinsic ultrafast dynamics. We develop unique experimental approaches to record movies of molecules at work. ￼￼These novel experimental approaches are supported by computational simulations based on solutions of the time-dependent Schrödinger equation. To increase the accessible molecular complexity in these simulations we are implementing and improving parallelized solvers in our codes. ￼￼We offer a bachelor thesis project to perform an extended runtime analysis and implement corresponding performance improvements and significant parallelization of our TDasyrot program suite. ￼￼A successful candidate will have a strong background in modern software development. Experience in quantum physics, numerical methods, and massive parallelization are a plus. ￼￼We offer unique research opportunities in an interesting and open team and with first-class experimental and computational facilities. Our group is embedded in the Center for Free-Electron-Laser Science, DESY, the University of Hamburg and the excellence cluster Hamburg Centre for Ultrafast Imaging. In this project a next-generation particle trajectory simulator shall be developed. Based on experience from two earlier codes to describe trajectories on particles through electric fields, we wish to implement a general purpose computational framework and user interface to describe the motion of large numbers of molecules and particles through laser and electric fields. From a physics point of view, various different interactions between the molecules and particles have to be included; sometimes taking care of the back-action of the particle on the field. Moreover, particle-particle interactions as well as particle-background interactions are relevant in certain cases. This code forms the heart of the modeling of our control experiments and is of greatest importance for the prediction of future experiments and experimental setups. Furthermore, computation times can be very high and efficient use of resources (CPU, memory), parallelization, and appropriate approximations need to be implemented. 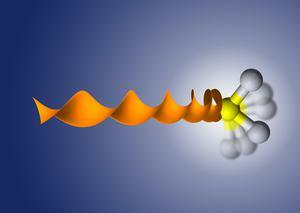 The Controlled Molecule Imaging group at the Center for Free-Electron Laser Science at DESY and University of Hamburg performs novel experiments on the control and imaging of gas-phase molecules and their intrinsic ultrafast dynamics. We develop unique experimental apparatus to record movies of molecules at work. Novel experimental setups require new software to control equipment, acquire data, and analyze the obtained results. To strengthen our team we are looking for software developers with a background in experiment controls, data acquisition, and online analysis — or the desire to apply modern programming concepts to these important and challenging applications. A successful candidate will have a strong background in modern software development and hardware programming. Experience in experimental physics or related scientific environments is a plus but not necessary. The position can be filled at various levels. We offer unique research opportunities in an interesting and open team and with first-class experimental and computational facilities. Our group is embedded in the Center for Free-Electron-Laser Science, DESY, the University of Hamburg and the excellence cluster Hamburg Centre for Ultrafast Imaging. General announcement of open positions in the CMI group. Please distribute this information as you feel appropriate.